Part Art. Part Science. Fitness Redefined. Rebel Sport and Fitness is a private gym that specializes in providing elite training instruction. Our unique athletic-based training focuses on integrated movements over isolated muscles. For athletes, this provides the basis to increase sport skill and performance. For fitness, it provides the metabolic fire to shed body fat and tone muscles. Rebel is a community of hard working like-minded individuals. Individuals who believe that every drop of sweat earned, is one step closer to achieving and surpassing their goals. Private training designed specifically around personal goals. Each session takes into account your strengths and weaknesses to provide you with a one of a kind workout. Our training model follows the same protocols utilized with elite athletes ensuring you will not only look great but feel great as well. Our group classes are a quick way to train in larger groups with the guarantee of a great workout. With 4 or more prepaid private sessions, you receive 1/2 PRICE or FREE access to all classes. This allows you the opportunity to train and experience fitness through many different types of training. Our varied selection of classes ensures there is something for everyone. An affordable way to unlimited training, unlimited results. Rebel is the home of Ambush Brazilian Jiu Jitsu, specializing in private and group instruction. Led by Tony Williams, a 1st degree black belt (Carlson Gracie Jr), Ambush provides the means to take your martial arts experience to the highest levels. Rooted in the legendary grappling arts of Carlson Gracie Jiu Jitsu, we teach all aspects of self defense, sport jiu jitsu, and mixed martial arts. Elite training for athletes of all ages and abilities. Rebel Sport and Fitness was built on training athletes at the highest levels. Our training system will increase EVERY facet of your athleticism. You will run faster, be stronger, and improve your sport skills. We will train you to be a better technician at your sport. Our training is ideal for youth athletes to professional and veteran athletes. We specialize in developing sport and fitness fundamentals in youths, providing the base from which to progress as they grow. Prepare your child for the next level of competition in a safe, supportive, and fun environment. With seasoned athletes we specialize in delineating the weaknesses hindering performance, while maximizing the strengths that make us unique. Our number one goal is for Rebel's training to be second to none. Rebel Sport and Fitness is the home of Ambush BJJ, an official member of the Chicago MMA Professional Fight Team. Under the leadership of Tony Williams, a Carlson Gracie Jr. 1st degree black belt, Ambush offers a cutting edge mixed martial arts program. Training incorporates the study of self-defense, sport jiu-jitsu, wrestling, and judo. Our collaboration with Chicago MMA allows us to offer the city's top instructors to help guide you on your journey as a martial artist. Wether it be as a casual participant or professional fighter, Ambush BJJ, proudly welcomes kids and adults of all ages and abilities. What makes Ambush BJJ unique among all other schools, is the performance training that is integrated within the curriculum. 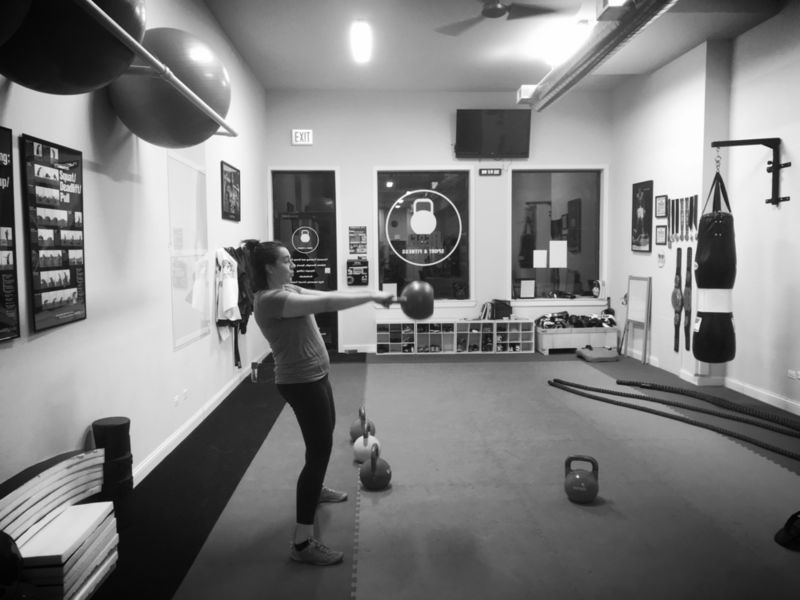 With access to the other fitness classes offered at Rebel, you will not only have the technical proficiency, but also the athleticism and fitness to maximize your results.